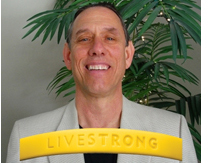 "I am a childhood cancer survivor who has used the power of creative expression as a survivorship tool within my own personal experience," begins the commitment Jay Klein wrote for his entry into the Lance Armstrong Foundation's Livestrong Global Cancer Summit, set for August 2009 in Dublin. Jay, the CEO and founder of ArtThread, was part of a select group of individuals and organizations who have made commitments to global cancer control. The summit brings together "world leaders, corporations, non-government organizations, and advocates in an unprecedented show of solidarity." This is a huge honor for Jay and the whole ArtThread team, and we are proud to be represented at this important international event. "The overall goal of the ArtThread Foundation is to share the international reach of our proprietary technology by partnering with other organizations whose mission it is to improve the quality of lives of cancer patients. Our hope is that these partnerships build community, increase awareness, and offer innovative methods towards sustainability," continues Jay in his commitment. The Summit is the landmark event of the LIVESTRONG Global Cancer Campaign, an effort of the Lance Armstrong Foundation (LAF). Jay will represent ArtThread’s commitment to fight cancer worldwide and engage with world media, political leaders, representatives of non-governmental organizations and corporate leadership. The ArtThread Foundation is proud to join the LIVESTRONG movement by offering its technology and fund-raising tools to support grassroots solutions that improve sustainability for community cancer advocacy organizations. For individual survivors ArtThread is committed to using its creative expression tools to improve palliative care and psychosocial support for cancer survivors worldwide. Jay and the ArtThread Foundation are looking forward to participating in the LIVESTRONG Global Cancer Summit in Dublin, Ireland from August 24-26, 2009 and helping to make the case for acting urgently to address the global cancer burden.